That's right: Henry "The Fonz" Winkler bought a brick (Hank Zipzer is the main character in the series of books he writes for children...best title of the 14 so far is a toss-up between I Got a D in Salami or The Curtain Went Up, My Pants Fell Down). Nice work, buddy! ...came off the bat of Georgetown's Tom Elliott. The first home run was hit by Georgetown's Sean Lamont. You will win a bar bet with this information someday. I don't have a ton of time to give a big write-up of the new ballpark, so I'll leave it at "Wow, it sure is nicer than Shea!" A wide open concourse, plenty of legroom in the seats, good sightlines from the spots I checked out, and just generally a lot more welcoming than Shea (of which only a pile of rubble remains). Today's Georgetown-St. John's game wasn't a full test for the new park (the estimated crowd of 42,000 never came close to materializing; there was maybe half that), so it still remains to be seen how the place will handle a full house. But Day One looked pretty good to me. And now I can tell my grandkids I was there on what I will insist to them was "the real Opening Day." Now, I've got to get to work on this grandkids thing. Here's the latest video that makes me infinitely glad that I wised up and stopped hanging around Letterman for autographs (language at the end NSFW). Actually, I could've skipped putting the video up and just given you five words that make me glad I'm not doing this: "World Trade Center picture, Nicolas" (the "you're choking me" back-and-forth is a gem, too). If you never collected autographs, you might think those words would never come out of a human being's mouth. I'm not that surprised. Still disgusted, but not surprised. Hey, douchebag. Congratulations! You did it! You completely pulled one over on a band that, more than likely, got paid based at least partially on the number of people who paid at the door. And, even if that weren't the case, and you merely stuck it to the bar (and I'm all for you messing with a bar in Williamsburg), you were comfortable enough with your perceived genius that you thought it would be a cool idea to pass your awesome knowledge on the rest of the world. Sweet! Thanks, jerkoff. Look, stupid, it's not like you pulled one over on the Stones. You got one over on a band playing a bar in Williamsburg that, according to Time Out New York, doesn't even have a phone. I wouldn't be proud of that. And I'm gonna guess you could've figured out a way to pull together 12 dollars. Maybe you could have eased up on the cocaine, or not paid your kickball dues for a week (h/t to Tom Scharpling). I have no doubt that your assessment of the band sucking is probably true, but, you know what, they're trying. They're trying to get people to pay to see them. It's not an easy thing to do. My friend is currently fighting that fight across America (tonight--Portland, Oregon! ), in a van whose fuel pump died in the first week of the tour and had to be replaced at a cost he wasn't all that thrilled about. He doesn't need people like you and your equally douchey date sneaking into his shows. So cut it out, dickweed. And stop sharing your story with the world. No one wants it. Since things have been slow here (though there's hockey-related stuff over at the Palm Isle) and I was putting together a mix CD and wishing the "Late Show" version of Warren Zevon's "Mutineer" was available to include on said CD, I figured it would be a fine idea to post that version (song starts at 4:00, but the interview part aint bad, y'know). Best Show! Big Fun! Tuesday Night! Here's all the news about Tuesday night's sure-to-be-classic Best Show on WFMU straight from the host himself. Listen! Laugh! Pledge! Hello everybody! 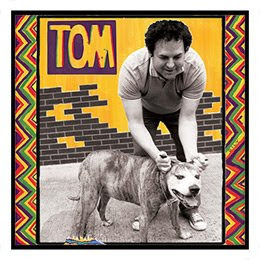 It's Tom Scharpling, the host of The Best Show On WFMU, heard every Tuesday night from 8-11 PM EST over at WFMU (91.1 FM/www.wfmu.org) . 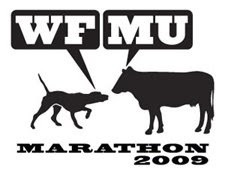 WFMU is in the middle of its fundraising marathon, and I will be doing my second and final marathon show this Tuesday March 10th from 8-11 PM EST, asking for your pledges to keep WFMU up and running for another year. Remember, WFMU is COMPLETELY LISTENER SPONSORED. We don't take sleazy corporate grants or government subsidies or any of that stuff so that we can bring you freeform radio that is 100 percent free - that's the beauty of not having ties to The Bad Guys. Would anybody else allow us to do 35 minute Scharpling & Wurster bits? Or take some of the calls we take? No! WFMU is the only place in the world that would give us the freedom that makes the show what it is. Yes, we're doing a fundraising show this Tuesday March 10th. But it's going to be anything but boring. We have GUESTS! The amazing TED LEO makes his return to The Best Show marathon, playing songs for pledges! This is his third year doing this, and it's an absolute highlight. And this year he's going to be joined by a few awesome people. The wonderful AIMEE MANN will also be on hand to play some songs for your contributions! That's enough, right? Wrong! The one and only super comedian and host of VH1's Best Week Ever PAUL F. TOMPKINS will be in the studio! And last but not least the legendary author/actor/computer spokesman JOHN HODGMAN will join us with some very funny surprises! It's going to be a show for the ages, so do not miss it! So call and pledge 1-800-989-9368 or pledge online at www.wfmu.org this Tuesday March 10th between 8-11 PM EST!! The MIRTH part of the pack is an ALL NEW SCHARPLING AND WURSTER CD, with stuff written and recorded for this CD. This marathon is the ONLY time you'll ever have a chance to get it -- it goes out of print as soon as the marathon ends! They recorded these songs JUST FOR THIS CD, and once my marathon show is over, IT IS GONE FOREVER. Talk about collectable, right? RIGHT?! 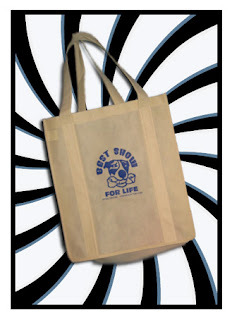 And finally the MAYHEM part of the deal: A really cool ENVIRONMENTAL TOTE BAG with the famed 'Dogmo' logo on the side and a FRIENDS OF TOM MEMBERSHIP CARD that you can only get during this marathon! So if you want it, YOU MUST PLEDGE DURING MY SHOW THIS TUESDAY MARCH 10th BETWEEN 8-11 PM EST! That is the only way to get my premium! The RAM tribute, the Scharpling & Wurster CD, the tote bag -- they all GONE after Tuesday night! So pledge! And the number to pledge is 800-989-9368, or do it on your computer at www.wfmu.org DURING MY SHOW this Tuesday March 10th from 8-11 PM EST! Oh, another thing - anyone who pledges $1000 or more to my show gets an insanely special premium: "Taste Of Newbridge", a limited edition TEA blended by T Salon & T Emporium just for this marathon! It's a high-end tea combining 'a black tea base with notes of caramel, chocolate, vanilla and a touch of Mandarin orange rind!' Each tea comes in a container featuring customized Best Show packaging and a quote from Philly Boy Roy! The retail value on this is almost a hundred bucks, and this is the ONLY chance to ever get it! And you don't have to pay the pledge when you make it - the station will send you a bill in the mail. So if you want to pledge but don't have the money in your hand tonight, don't sweat it! Just pledge now and pay later! If you aren't able to make your pledge during my show, you can email me your pledge and I will write it up for you! Just send it to toms@wfmu.org, and give me your full name, mailing address and pledge amount. Remember the date -- this Tuesday March 10th from 8-11 PM EST. We will be joined by TED LEO, AIMEE MANN, PAUL F. TOMPKINS and JOHN HODGMAN all live in the studio, helping raise money to keep WFMU on the air for another year! I'm counting on you! This Tuesday night March 10th between 8-11 PM EST! 800-989-9368! www.wfmu.org! Do the right thing and strike a blow for The Good Guys! In keeping with our policy of always tipping our hats to Opry members who leave the earth, Tinsel and Rot notes the recent passing of two Opry members. 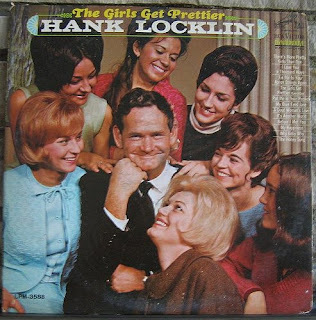 Hank Locklin, best known for the classics "Please Help Me, I'm Falling" and "Send Me The Pillow You Dream On," died over the weekend at the age of 91. Prior to his passing, Locklin was the oldest living Opry member, an honor that I think now falls to the 88=year-old Little Jimmy Dickens. Ernie Ashworth, whose biggest hit was "Talk Back Trembling Lips," passed away on Monday, March 2, at the age of 80. I'll admit that I know little of Mr. Ashworth other than the aforementioned monster hit, but I've always meant to rectify that. It's unfortunate that his passing is giving me the push I needed. And so, two more Opry folks head to their rewards. Rest in peace, sirs. It's that time of year...the annual WFMU Music Marathon, wherein one of the finest radio stations in the land asks for money. And you can give them that money! Now! Go here for all the info you need. And listen to "The Best Show on WFMU" Tuesdays (particularly next Tuesday, where there will be fun galore for your pledge dollar...there is fun galore right now, but I don't think I have a lot of visitors between 8 and 11 on a Tuesday). Do it...it'll make you feel good. *The last episode of "Late Night with Conan O'Brien"